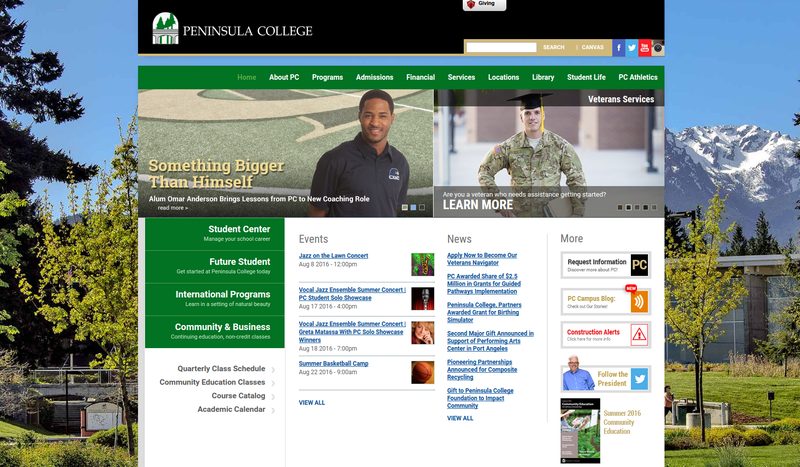 Peninsula College reached out to us in 2012 for some emergency work related performance issues on their site and problems with their site crashing. Once we were able to jump in and diagnose, we found that they had been hacked. We spent time to patch the attacks and brought them back to square one. Then in February of 2015, they reached out to us because their website had been hacked... again. In addition, their web developer was moving on to other endeavors and they needed some support. We first started to restore their site and applied a patch. Then we moved on with our Site Assessment, to get a good idea of the state of their website and set them up on our Standard Drupal Maintenance and Server Maintenance plans. We moved them over to an AWS server and were able to identify several big wins, such as: setup meta tag module, disabling php filters, fixing staff directory search function, and more! 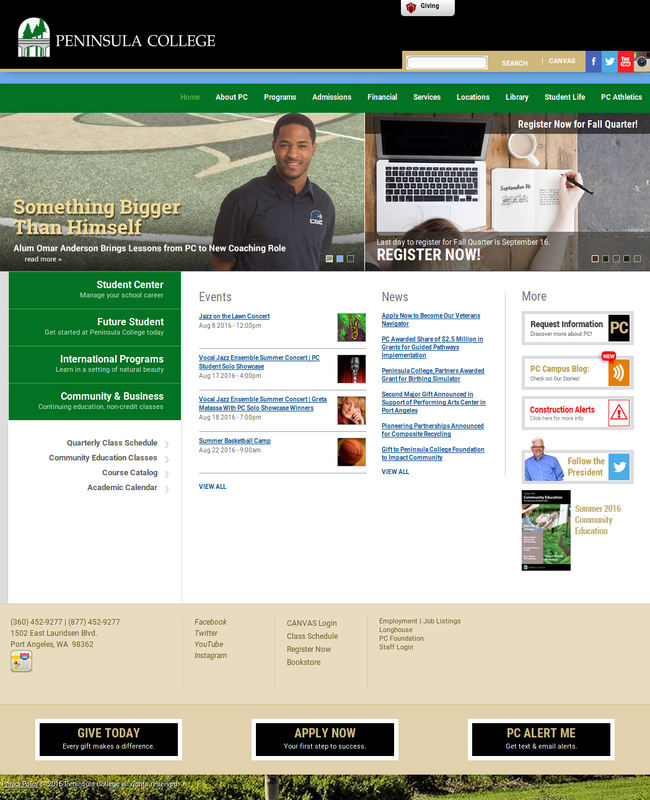 Since then, we have embarked on a re-theme of the website, which is currently in development. We've moved them over to a Bootstrap theme, while also working with them to clean up their content architecture, in order to make them more mobile-friendly and a seamless user experience.